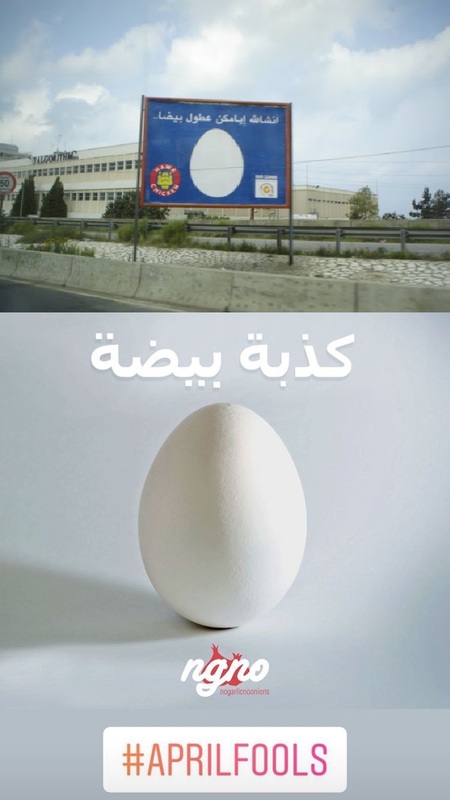 No Garlic No Onions just issued an April Fools story on Instagram which basically joined Easter and April Fools at the same time saying it's a "white lie" - but white in Arabic also means egg so it is a nod to Easter as well. 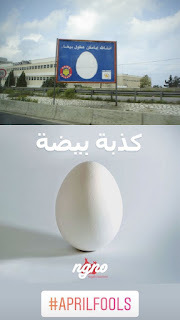 This would have been perfectly super creative if this was not the exact 2010 ad for Hawa Chicken (which sells anything related to poultry) and that had the line "may all your days be white" - with white being an egg. 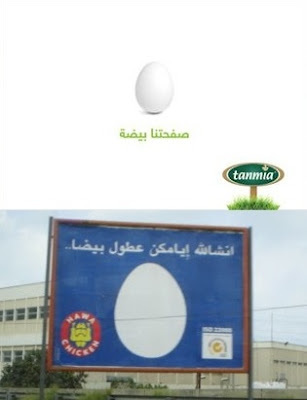 Just for NGNO not to feel back Tanmia which also sells poultry related stuff did hijack the ad previously as well.